*Comic Con enthusiasts received an exclusive first look at a selected scene from Marvel’s “Black Panther” film starring Chadwick Boseman as the titular character. 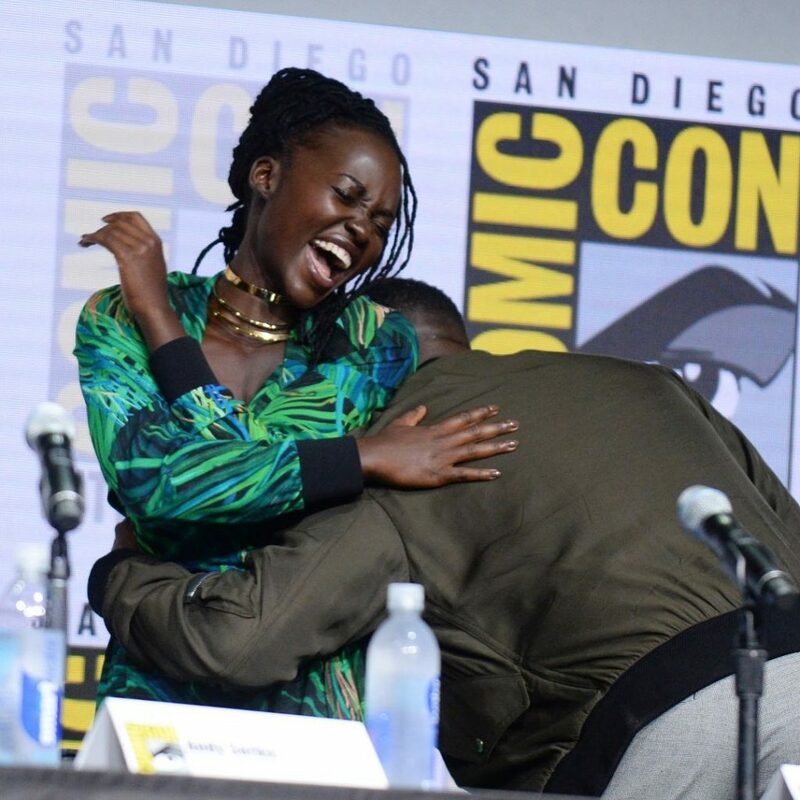 Director Ryan Coogler introduced the footage, following a Q&A with Boseman and his co-stars Danai Gurira, Lupita Nyong’o, Daniel Kaluuya, Forest Whitaker and Andy Serkis. For the cast, it was their first time seeing the action packed scene, which reportedly included Boseman, Nyong’o, and Gurira kicking a** in a high-end poker room, Essence reports. Fans were not the only ones who jumped up with thunderous applause after previewing the clip. Watch below as the cast reacts to the exclusive footage. “The cast hadn’t seen any of the footage yet, this is the first time they’re seeing it too!” Watch as the cast of #BlackPanther reacts to the exclusive Hall H footage at #SDCC! ?